Akbar ka Kila, Ajmer: Akbar ka Kila or Akbar's Fort is situated in Ajmer city of Rajasthan. 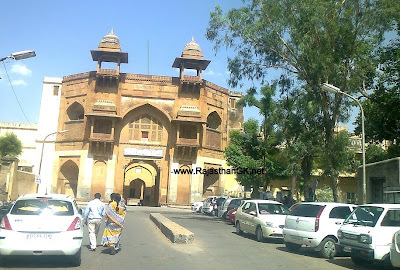 Akbar ka kila is also known as Government Museum, Ajmer. 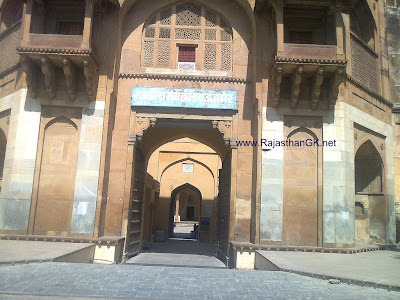 Akbar's fort is situated in middle of Ajmer city. It was built by Akbar in 1570 for frequent visits to Ajmer as well as a bastion for his advancing empire. 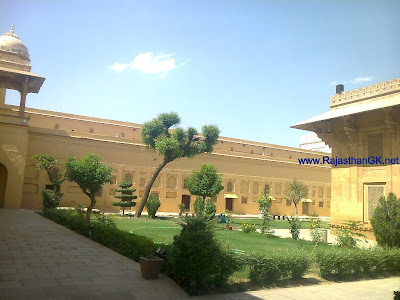 Akbar ka kila is very small as compare to other forts in Rajasthan, but in our opinion we would call it Government Museum, Ajmer. This fort is covered with high boundary-wall while museum gallery inside the fort's varamdah which contains brief history of Akbar's fort, Shila-lekh, various statues of 12th to 18th century. Akbar ka kila is important in history as Ajmer was the base for his operations in Rajputana during british raj and Sir Thomas Roe gets trade permission through the Court of Ajmir during Jahangir's regime. * Sir Thomas Roe visited Court of Ajmir during Jahangir's regime. * Akbar ka Kila is also know as Magnet. Here is some of pictures of Akbar ka Kila, Ajmer or Akbar's Fort, Ajmer or Government Museum, Ajmer.